USB 2-Port Auto Share Switch. USB Auto Share Switch allows multiple PCs to share one USB devices. 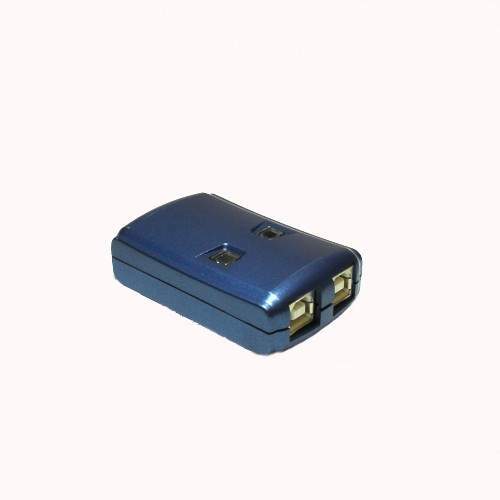 It provides you a great solution to share USB devices between two PCs to save the limited budgets on USB devices and the effort on doing hot-plug process. Computer Selection of Device: Right Click on Yellow Circle Icon and Select "Switch"
Also you can Use the [Ctrl]-[F11] on PC and [Alt]-[F11] on the MAC.